Welcome to the Honey House Reservation page. 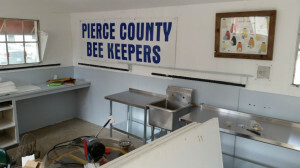 PCBA Has a New Honey House! 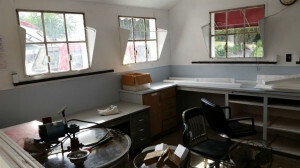 PCBA members may rent out the Honey House for $25. Please use the Reservation Calendar below. IMPORTANT! In the reservation calendar, please do not reserve times after 3:00 p.m. even if they show availability. Because WSU may close and lock the gate by 5:00 p.m. you must plan your extraction to be done and cleaned up by 4:45 p.m. at the latest. That said, let the fun begin! 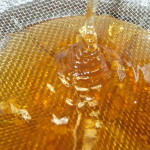 Your honey bees have done their job and now its time to extract your honey. The PCBA Honey House is set up to make the extraction of your honey harvest easy. Need to warm your honey before extracting? This 14′ x 19′ building located on the WSU campus (across the street from where we have our monthly meetings) has hot water and electricity. 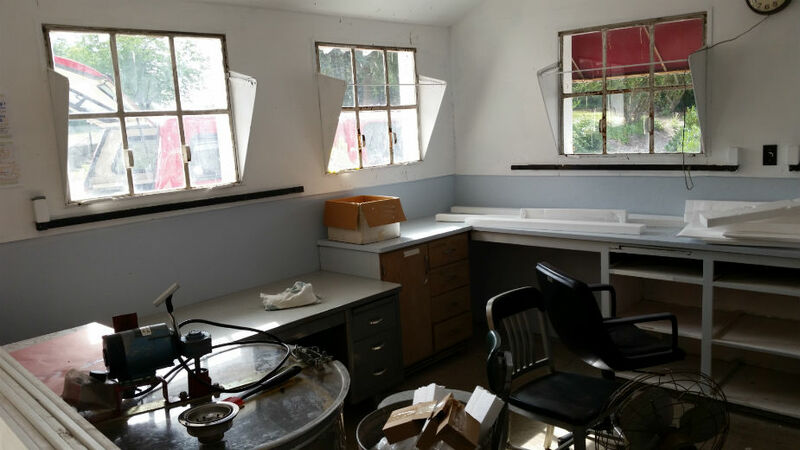 Formerly used as the WSU Milk House, we now use it to extract honey from club member hives. 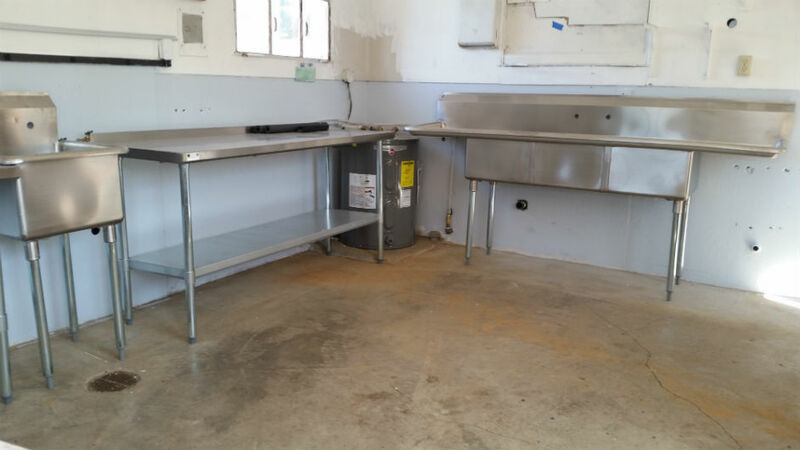 Included in the $25 rental cost: netted strainers to catch wax and bee parts, Nitrile gloves to keep your hands (and honey) clean, the decapping sink, an electric decapping knife, and a heat gun that can be used on new comb — much less mess and no bucket of cappings to deal with! Our 18 frame motorized extractor is easy to operate and will get the job done fast. 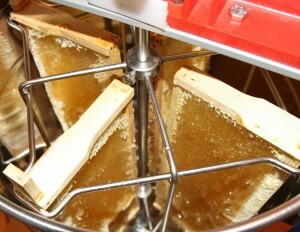 We also have tools to scrape down the sides of the extractor so you will get ALL of your honey. A minimum of two food grade buckets (4 or 5 gallon size) with lids for your honey (available at Home Depot or Lowes) and one bucket for your “cap-wax” honey. Some hand towels for clean up. Consider purchasing a bucket with a honey spigot if you want to make the bottling process easier at home. You can also bottle your honey at the Honey House if you bring your own bottles. If you would like to rent the small PCBA hand crank extractor to take home instead (not the Honey House), please contact John Thomas at honeyhouse@pcbeekeepers.org. Make your reservations for the Honey House using the calendar below. Pick your date. When you select a date, the pop-up will tell you available times. 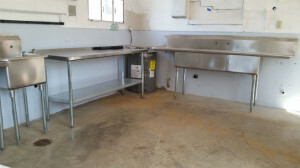 Reservations must be made at least 48 hours in advance of your extracting date. Choose your time slots — please choose a minimum of TWO back-to-back time slots. You may add additional blocks of time up to four hour-long sessions. Generally, it takes about 2-4 hours to process 20-30 frames of honey, including clean up time. Click the “Reserve and Pay” button to complete your reservation and pay via credit card or PayPal. You will be contacted by the Honey House Coordinator John Thomas to get access information and the code for the Honey House Key Box. For booking problems, please contact HH Coordinator at honeyhouse@pcbeekeepers.org.